Gas boiler thermostat has two colors which are black and white. This thermostat is used to control household gas boiler to start/stop in order to keep user's house at a comfortable temperature range. 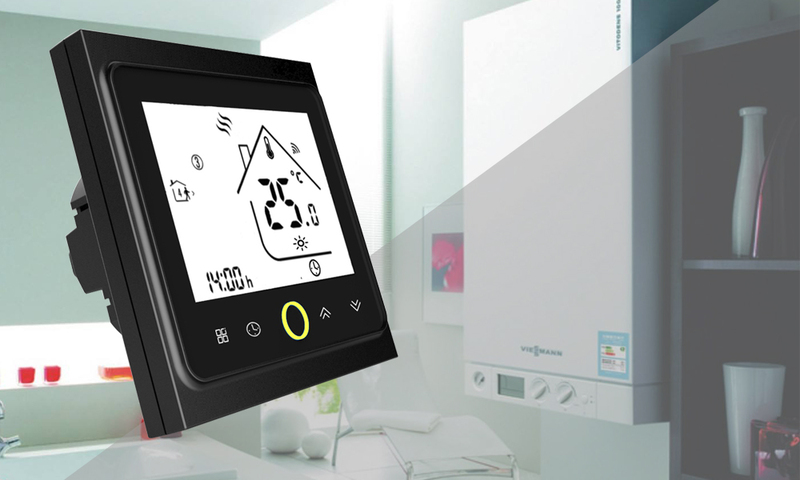 It is the most developed thermostat in the market now with nicer price and more functions. On the other hand, this thermostat fits amazon Alexa echo and google assistant system. More young people like it very much. WiFi Gas boiler heating thermostat has two colors which are black(WiFi) and white(WiFi). Users could chose the one they prefer. With backlight, this thermostat displays temperature and time clearly even at night. WiFi Gas boiler heating thermostat is with WiFi and smart voice control function. Users could use their phone to control the thermostat even when they are out of home. 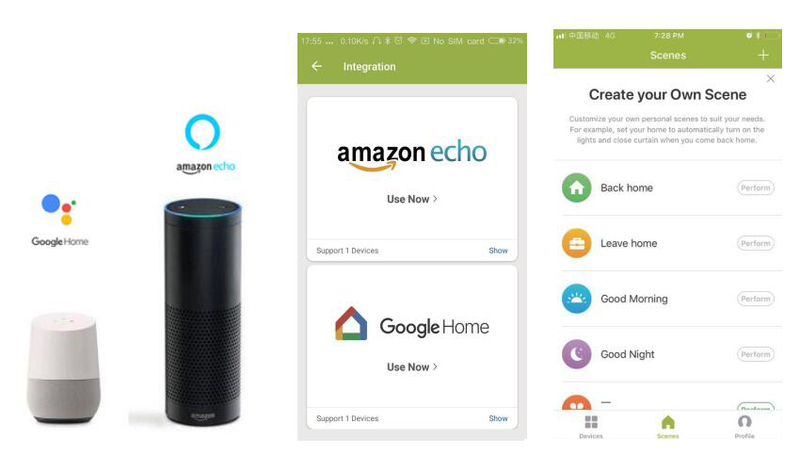 When they are home, they could control the thermostat by their voice via Amazon Alexa Echo or Google Assistant. WiFi Gas boiler heating thermostat has a special function. When the thermostat is working, the button lights all the time. The bright buttons always remind you the world truly exists. WiFi Gas boiler heating thermostat is a weekly programmable thermostat. After programming it, thermostat will work automatically. For example, user could set 24 degrees in the morning and 19 degrees in the evening. Then thermostat will work all by itself, user does not need to set it all the time.